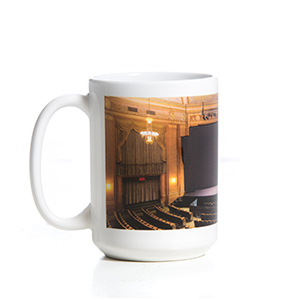 Do you know who performed on stage December 17, 2004 for the Opening Night of The Paramount Theater’s 2004-05 Season? Mezzo-soprano, Denyce Graves! This discovery sent us digging through our archives. Look at the treasure we found- the program from Denyce Graves’s 2004 performance at The Paramount! Consider joining us tomorrow, Saturday, November 10 at 12:55PM for the Met Live in HD series continuation on The Paramount’s big screen with Nico Muhly’s new production Marnie. CLICK HERE for tickets! WINNERS ANNOUNCED FOR THE 2018 MANHATTAN SHORT FILM FESTIVAL! Following the Manhattan Short Film Festival at The Paramount’s screening, Paramount patrons cast their vote for the best overall film and actor. 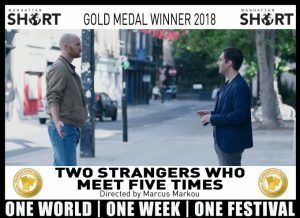 The Paramount audience voted Two Strangers Who Meet Five Times written and directed by Marcus Marcou (UK) as Best Movie, and Felix Grenier from the film Fauve, directed by Jérémy Comte (Canada) as Best Actor. It just so happens that The Paramount’s audience vote aligned perfectly with the international festival’s winners! 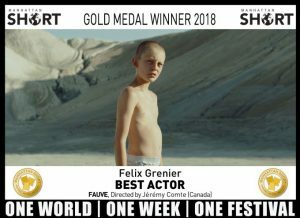 Two Strangers Who Meet Five Times was this year’s Gold Medal winner, and Felix Grenier from the film Fauve was this year’s Gold Medal winner for Best Actor! Congratulations to the winners. We can’t wait for the return of the Manhattan Film Festival next year! Come see “Roseberry’s Charlottesville” at CitySpace Art Gallery on August 3! Looking for plans before the David Cross – Oh Come On tour tonight? Look no further! Come to CitySpace Art Gallery’s First Fridays from 5:30-7:30PM to see Roseberry’s Charlottesville. 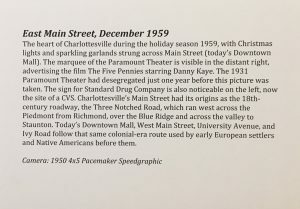 This exhibit showcases a selection of rarely seen images of Charlottesville from the collection of photographer Ed Roseberry. 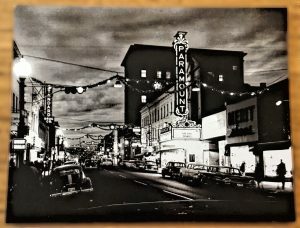 Come get a glimpse into the past and even see images of The Paramount Theater in its original state! When National Geographic announced their annual award winners, we were thrilled to see that two of the National Geographic Live series presenters won! 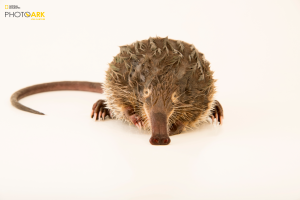 The National Geographic Society recognized Joel Sartore as the 2018 recipient of the Rolex National Geographic Explorer of the Year Award. Ski Mountaineer, Hilaree Nelson, who will present at The Paramount Theater on November 14, was named one of National Geographic’s 2018 Adventurers of the Year. 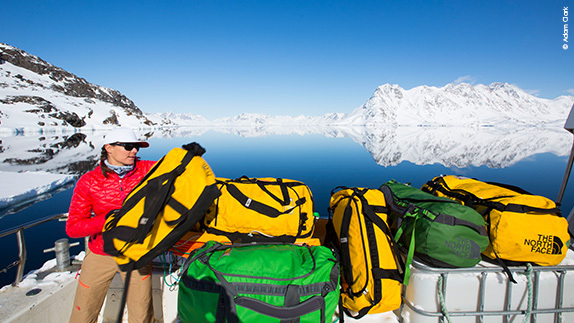 If you want to hear the stories responsible for her award first-hand, be sure to come to Paramount Presents: National Geographic Live – Hilaree Nelson, Point of No Return. 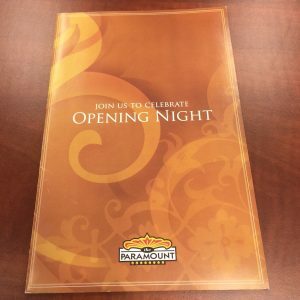 Make your Paramount experience complete! 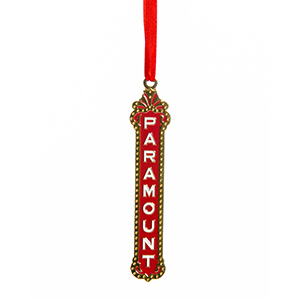 Shop The Paramount’s online store and bring the magic home. 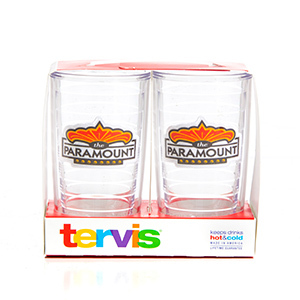 From Paramount heat activated mugs to Tervis Tumblers, Land End Paramount Bags to your own Paramount Blade ornament, you can now shop the store online as well as in person at events. 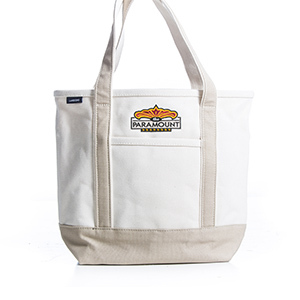 See the Online Store link for a complete listing of Paramount items. *Photo credit: Thank you to the Monticello High School Photography Department. Vote For Your National Theatre Favorites in the 2018 WhatsOnStage Awards! This season, we have had the pleasure of presenting spectacular National Theatre Live in HD productions on our big screen, such as Angels in America parts I and II, Who’s Afraid of Virginia Woolf? and Follies! We are thrilled to congratulate these nominees for their recognition by the WhatsOnStage Awards, the only major theatre awards in which the audience is the judge. Each year, WhatsOnStage draws a UK-based shortlist of productions to help theatergoers recognize their favorites! Learn more about the awards here. 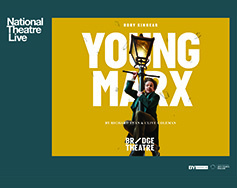 Share your love for the National Theatre Live in HD series by voting for the incredible nominees that made their appearance on The Paramount’s big screen! See the full line-up of nominations here and cast your vote here. Voting closes on January 31, 2018, with the winners announced on February 25. Stay tuned! CLICK HERE to learn more and purchase your tickets today! We are excited to offer a complimentary pre-show lecture with Paramount Presents: The Opulence of Integrity, A Movement Odyssey Celebrating the Life and Legacy of Muhammad Ali on January 18, 2018 in the Balcony Lounge at 6:45PM. The lecture, titled “Traces of Greatness: All Of Us Are Made From Clay,” will be conducted by Leontyne Clay Peck. 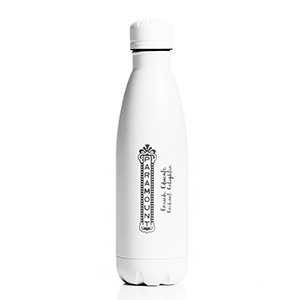 CLICK HERE to purchase tickets and learn more about The Opulence of Integrity. A descendant of John Clay, who arrived in Jamestown in 1613, Peck is also the distant cousin of Kentucky Senator Henry Clay as well as the Abolitionist Cassius Marcellus Clay (for whom Muhammad Ali – A.K.A. Cassius Clay – was named). Peck’s lecture will touch on themes of The Opulence of Integrity; the greatness in all of us and the characteristics that make all of us great in our own way. She will also share family anecdotes, which include stories of Ali’s personal inspiration to become one of history’s most celebrated athletes as well as a social activist. 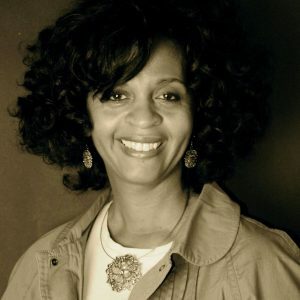 Leontyne Clay Peck is an educator, author, and speaker with more than 30 years of experience in presenting African American Cultural Programs and Family Histories. She received her education from American University, the American University of Rome, and West Virginia University. She gives presentations to educational institutions, faith organizations, libraries, genealogical societies, and private businesses on her experiences in finding her roots and encouraging others to search for their ancestors. Her ancestry is also connected to Benjamin Banneker, Civil War soldier Job Gaiter, and the enslaved communities of Presidents James Madison and Thomas Jefferson. Peck is the recipient of a host of awards including Maryland Business and Professional Woman of the Year and Maryland Commissioner on African American History and Culture. She is also a Ford Foundation Scholar in African American Studies. In addition, Peck was involved in the “The Mere Distinction of Colour” exhibit at Montpelier, where she participated in the excavation of the slaves’ quarters along with other slave descendants. Read more about the dig in The Breeze. She is married to Lyle Peck and they are the parents of two adult daughters, Whitney and Alexis. Let the games begin! The stars of Piano Battle face off on The Paramount’s stage on February 6 – get to know these fierce performers with a behind-the-curtain interview! CLICK HERE to learn more about Paramount Presents: Piano Battle and purchase your tickets today. Why do you perform your concert as a “battle”? PAUL: Piano Battle started more or less by accident. We were both in contact with the Hong Kong City Festival and there was only one concert slot left. The festival suggested that we share…. ANDREAS: And it did not take us long to discover that we definitely did not want to perform together! The fight was on and we decided to battle it out right on stage. 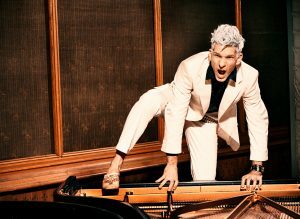 PAUL: To our surprise, the show was so successful that we were invited back and since then have been performing Piano Battle a lot in Asia and Europe. Do you feel limited as an artist by this “battle” format because you have to take turns performing, for instance? PAUL: Not at all because we have to give our very best at each moment of the show, not only in performing but also in connecting with the audience. “Trust Your Ears” is all I need to say. If you do that, the right one will win. ANDREAS: The difficulty of convincing every member of the audience and being flexible and creative in my responses to Paul is actually my favourite part. 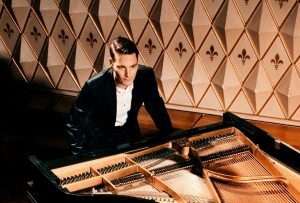 If the audience pays close attention, they will notice that the more interesting and exciting pieces are played by me, and the winner will be obvious. “Stay curious”! What makes this unique format special? ANDREAS: Six rounds, no rules … and the audience will decide who wins. Preferably me, of course! PAUL: We’ll see about that. Fact is that in each round we play one piece of the same musical style, trying to outperform each other. It is a serious competition and we always go out on stage to win. ANDREAS: So the audience has to listen very intensely because they are absolutely in charge of the outcome. PAUL: There is a master plan and depending on who wins a certain round, we will continue one way or another. But there is still a lot of flexibility, which makes it a lot of fun for us as well. ANDREAS: We also have a proper improvisation round where we spontaneously play suggestions called up to us by the audience. And I always like to throw a surprise or two at Paul – just to keep him on his toes! Which famous composer of the past would you like to have met? How many days can you last without playing the piano? PAUL: After three days I get a bit nervous, and after five-six days really restless, almost unhappy. But the strength of these feelings only become evident once I started playing again. ANDREAS: I don’t play on Sundays. What is your mobile phone ring tone? ANDREAS: Don’t know, most of the time it’s on silent. PAUL: A rehearsal recording of Andreas messing up the beginning of the first Chopin Etude. What is your favorite classical piece of music? PAUL: It’s impossible for me to define a few, let alone just one. But among my all-time favorites I would name Schumann’s Kinderszenen, Liszt’s B-minor Sonata, Schubert’s “Die Taubenpost”, and Brahms’ 1st and Mahler’s 2nd symphonies. There are also Mozart’s Dminor piano concerto, Beethoven’s 4th and 8th symphonies, Wagner’s Tristan and Isolde… Don’t get me started! ANDREAS: Michael Jackson’s “She’s Out Of My Life”. What is your favorite classical piece of pop music? PAUL: Michael Jackson’s Man In The Mirror. ANDREAS: Bach’s piano concerto in d-minor. What was your most exciting experience on stage? PAUL: Whenever there is one of those wonderful silent moments at the end of a piece. It’s mesmerizing with an audience of several hundred people being so actively quiet. Only a live concert can create this kind of concentration and atmosphere. ANDREAS: A true story: once when I was performing Beethoven’s Sonata op. 111 in Bangalore, India, there was a power cut. I continued to play. Then I started talking to the audience about the piece although I couldn’t see anything. In the end a little boy came on stage with a candle and I resumed playing.